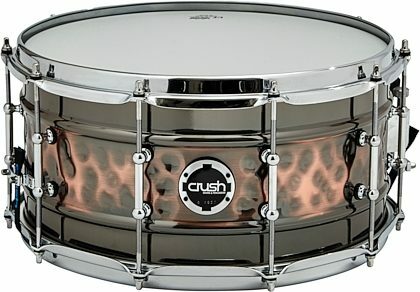 Crush Hybrid Hammer/Rolled Steel and Brass Snare Drum, 14x7"
Built upon the strengths of steel, the Hybrid Hand Hammered Snare Drum by Crush delivers unparalleled power and precision. 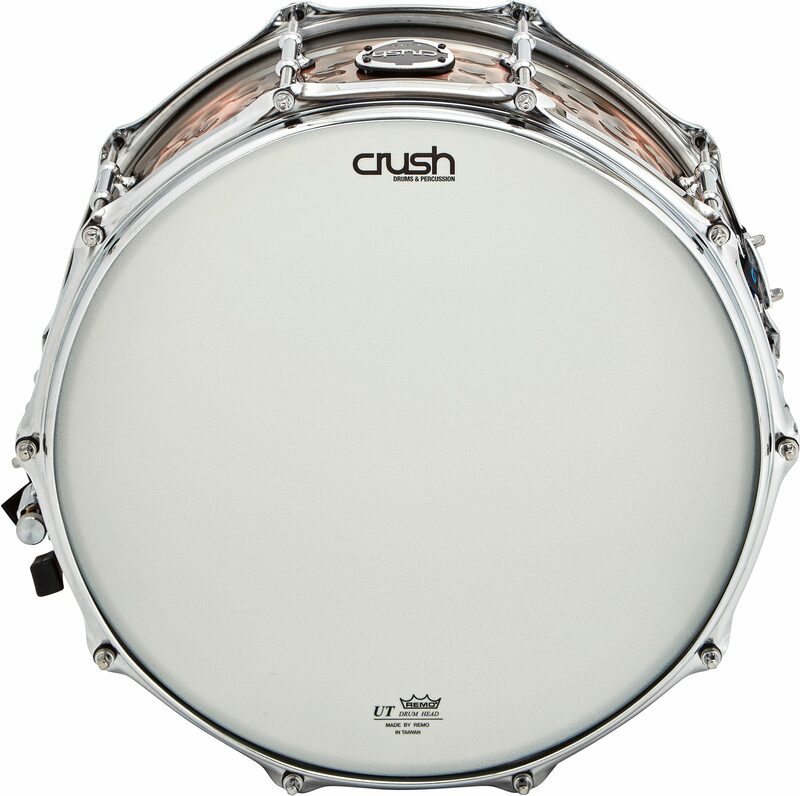 By hand hammering the shell Crush is able to deliver a smoother warmer tone than most traditional steel snare drums. 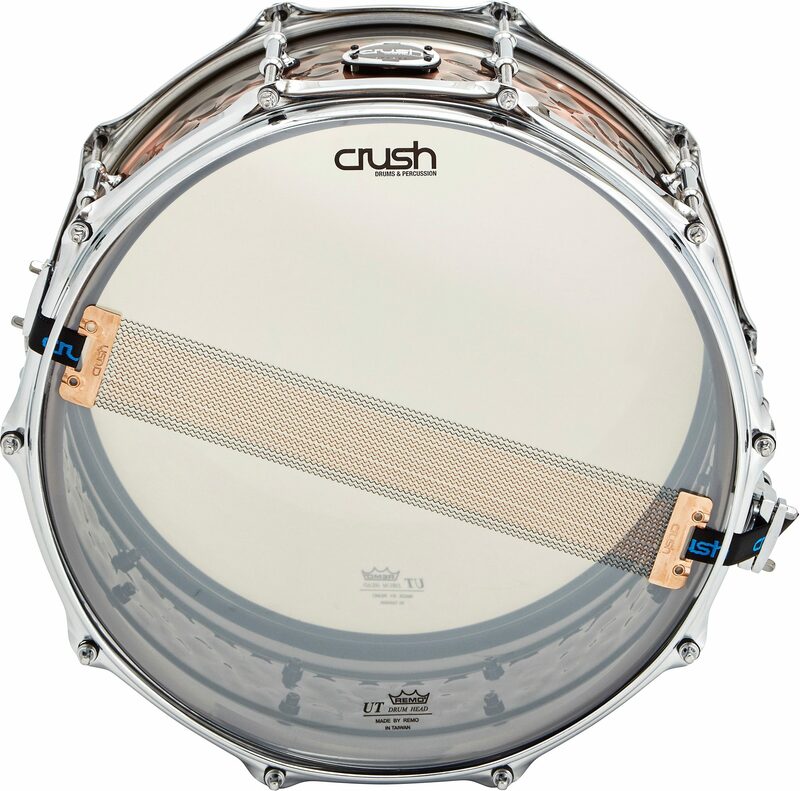 Crush has gone one step further by including a signature Brass/ Carbon Steel hybrid snare wires. 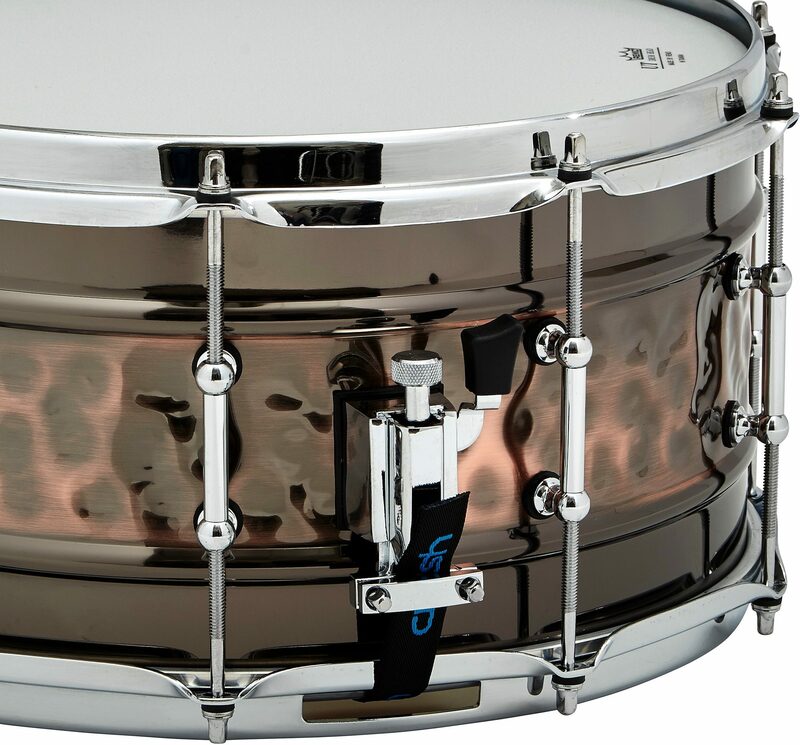 Paired with 2.3 mm reverse flange hoops Crush's Hybrid Hand Hammered snare provides a focused, full-bodied powerful sound perfect for cutting through the loudest stage volumes. The Hybrid Hand Hammered Snare Drum from Crush is designed and built with the highest standards and will impress even the most selective drummers.